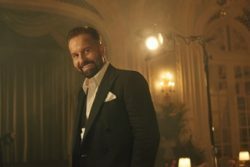 ALFIE Boe comes to Bourne­mouth International Centre on Saturday 13th and Southampton May­flower on Sunday 14th April, where there are a handful of tickets left at each venue. The tour celebrates the release of his new album As Time Goes By. The record, released last Novem­ber, celebrates the golden era of music from the 30s and 40s. Alfie is one of the best-loved vocalists of his generation and has triumphed on theatre stages and in concert halls around the world. “These songs are at their best when performed live!” he says, “and we’ll be enjoying some of great songs from my previous records.